A real shift has occurred atop the Premier League table. Not for the first time, Liverpool won in their early kickoff, putting them top temporarily at least. Mohamed Salah bagged his first hat-trick of the season as the Reds routed Bournemouth 4-0. This result has frequently been followed by a Manchester City win, as the champions tighten their grip on English football. That has come to an end today however, with City losing out 2-0 at Stamford Bridge. It’s their first league defeat since the 3-2 loss to derby rivals United back in April. City sorely missed the presence of top scorer Sergio Aguero against Chelsea. Despite being the away team, they had the lion’s share of possession and chances, but the starting front-line of Leroy Sane, Raheem Sterling and Riyad Mahrez were unable to convert. It was Chelsea that got the opener against the run of play. Eden Hazard set up N’Golo Kante for a Frank Lampard special on the stroke of half time in what was Chelsea’s first real presence in the attacking third. Soon after the restart and facing a resurgent Chelsea side, Pep Guardiola called off Sane in favour of a more conventional striker in Gabriel Jesus. City stabilised the situation, but chances from John Stones and Kyle Walker went begging. David Silva was forced off with an injury, and ten minutes later the visitors’ fate was sealed. 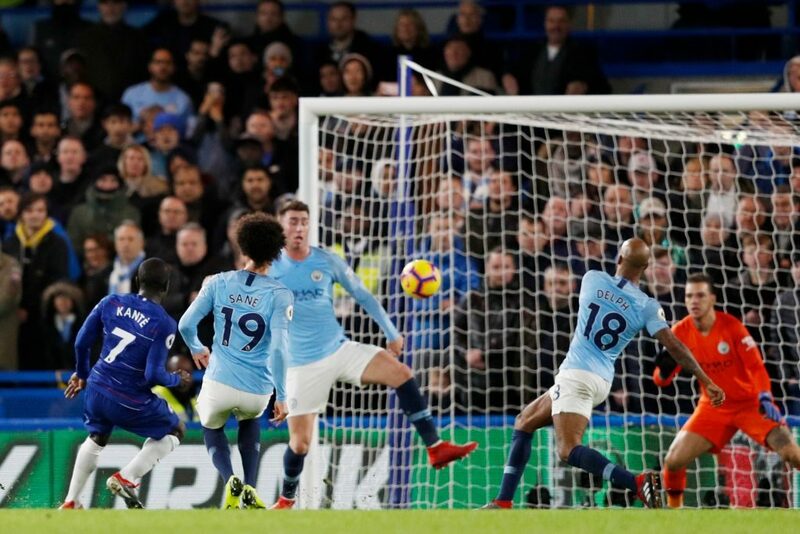 With just their second corner of the game (compared to City’s eleven at this point), Chelsea secured their passage back into the top four. Hazard found David Luiz at the near post, and the header was worthy of a goal. City were left with too much to do, and so it ended 2-0 at the Bridge against a side that’s proving to be a bogeyman for Guardiola. After 16 games, Liverpool maintain a one point lead, albeit eight goals behind in goal difference. Following the upcoming final round of Champions League group fixtures in midweek, City will look to rebound against Everton, while Liverpool host Manchester United in what’s sure to be a dramatic, tense encounter with so much on the line.